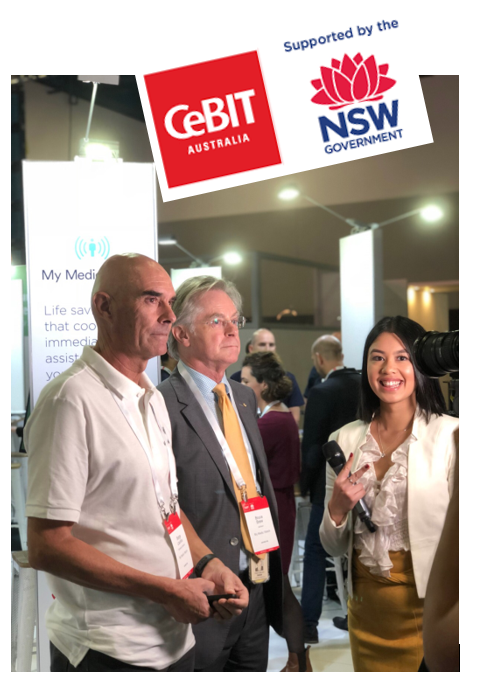 My Medic Watch was awarded a NSW Government sponsored exhibition space within the wider startup exhibition area at CeBIT Australia – 15-17 May 2018 at the ICC (International Convention Centre) at Darling Harbour in Sydney. “CeBIT is the largest and most internationally representative computer expo. 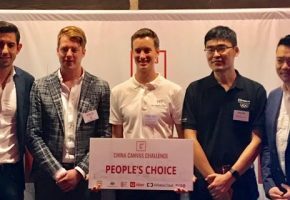 It was a great experience for the My Medic Watch team as we had the opportunity to meet with potential partners and customers as well as being able to demonstrate our Apps and get feedback, which were always very positive. My Medic Watch had also the opportunity to be interviewed by Know My Group (www.knowmygroup.com.au) and you can find the interview published on the Australian Health Journal, video S1E3, at www.knowmyhealth.com.au/australian-health-journal where Prof Bruce Brew Head Neurosciences Program at ST Vincent Hospital and Serge Lauriou were interviewed.